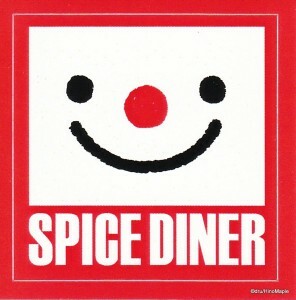 Spice Diner is a small Indian restaurant that has a unique twist in Japan; it is also a craft beer shop. Located under the Sanno Park Tower in Akasaka, it is not really an easy place to find. I actually wasn’t even looking for it and literally stumbled upon it when trying to decide where to eat. If you didn’t know how to find it, you’d be hard pressed to find it. 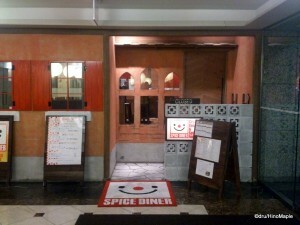 Within the Sanno Park Tower, Spice Diner is actually just outside of the main restaurant area in the basement. Yes, it is not technically within the same enclosed area as the other restaurants. Spice Diner is also closed on weekends and holidays, which makes it nearly impossible for me to visit this restaurant. I had wanted to visit this restaurant for a while as I enjoy Indian style curry and, as most of you know by now I have a new love of craft beer. The food at Spice Diner was a little limited for lunch. For dinner they open up the kitchen a little more and the variety is a lot larger but for lunch they have 3 basic sets. 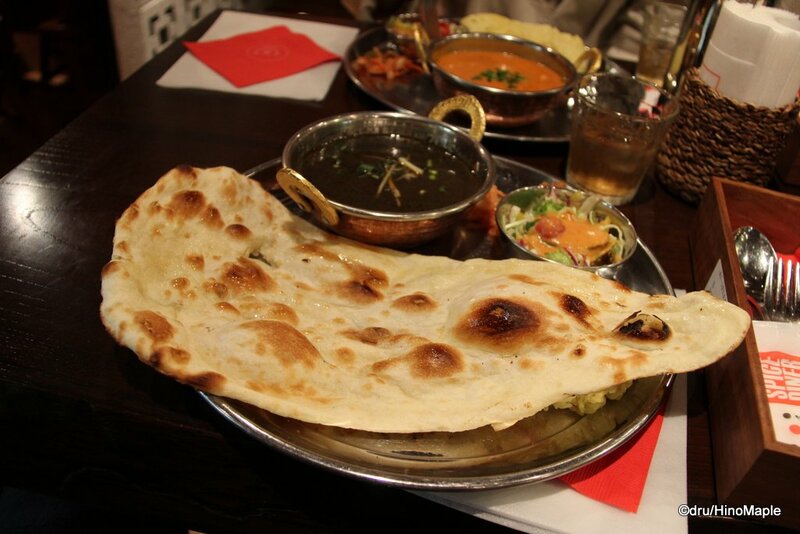 They all come with naan and rice and a little salad but the portions are typical of any Indian restaurant in Tokyo and you will be very satisfied with the portions. The basic set allows you to choose just one curry, while another set allows you to try all 3 curries. 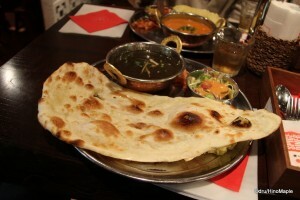 The biggest set for lunch is the same as the 3 curry set but they also add a piece of tandoori chicken on top. The setup of the restaurant is pretty simple with the kitchen just making naan to order and scooping the curry that is kept warm. The entire restaurant is pretty quaint with mostly bar like seating. It is a far cry from the typical Indian restaurants that I usually visit where you have a regular table. In Spice Diner you have tall bar tables and a counter in the back. It allows them to fit a few more people and also keep a bar like atmosphere. I will say that I enjoyed the atmosphere and the fact that they had a black sesame curry on the day I visited was a great fusion between Japanese ingredients and Indian curry. Most of the people were ordering the 3 curry sets but one stocky gentleman did order the largest set. While this isn’t very surprising, what was really surprising was that he only ate the curries and chicken. He didn’t even touch his naan or rice, and I don’t believe he even ate his salad. Maybe he was on a no carb diet but it did make me feel as if he wasted a bit of food. I learned of this shop because of my love of craft beer. If I visit a shop with craft beer I feel obliged to drink the beer. Since I was there for lunch the server didn’t think I would want a beer. I had to ask for the beer menu but the server was more than happy to hand me a menu and let me make a choice. When eating curry, I feel a nice strong bitter IPA is a good way to go and I had the Snow Monkey IPA from Shiga Kogen. I think it is a staple of the shop and it went well with the strong flavours of the curry. There was a good variety of beers available and they even had some fruit beers. Unfortunately, since the food was going to be a bit strong and spicy I had no real choice but to get the IPA to be able to match the flavours properly. I was happy with my selection and don’t regret anything. I really enjoyed looking at the variety of beers that are available at Spice Diner and the next time I am hankering for Indian curry and beer, I’ll definitely visit Spice Diner. Unfortunately I don’t work in Akasaka and I’ll probably have to wait a long time before I can return again. I’ll definitely keep it in mind though and when I do return I’ll know where to go. 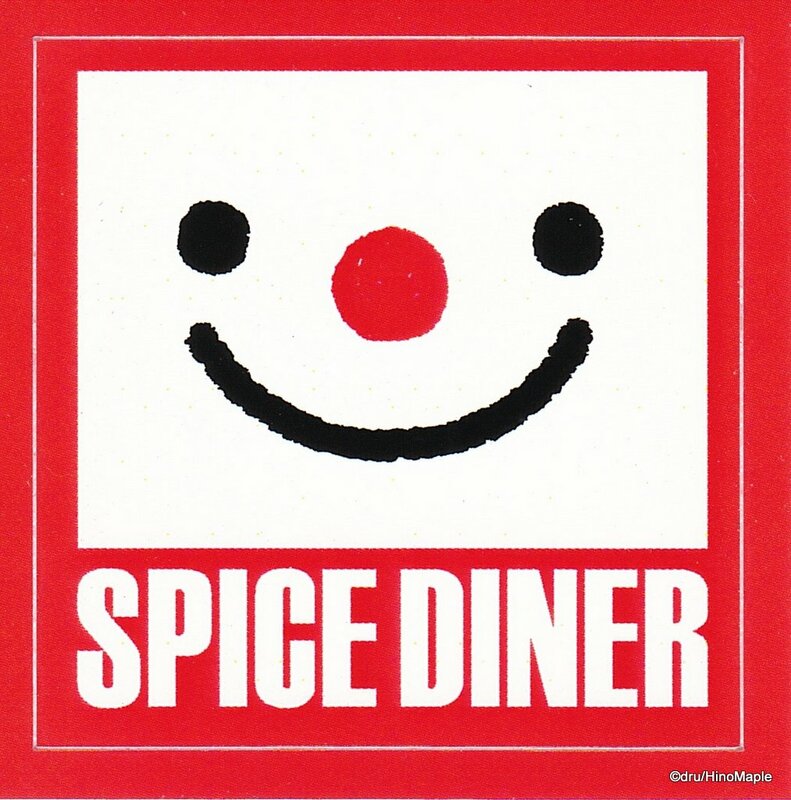 In the future, I hope they expand on the Spice Diner brand. It appears as if they also have another Indian restaurant located in Matsudo, Chiba and that they rebranded their Akasaka shop into Spice Diner. Unfortunately it doesn’t appear as if their Matsudo shop (Indotei) has any craft beer so it looks as if I’ll be waiting a while till they do open another shop, hopefully closer to home. 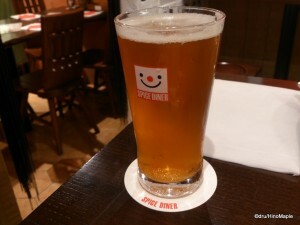 This entry was posted in Tokyo Food and tagged Akasaka, black sesame, craft beer, curry, India, Indian Food, IPA, japan, Ji-Biru, naan, Sanno Park Tower, sesame, Shiga Kogen, Snow Monkey IPA, Spice, Spice Diner, Tameike Sanno, tokyo by Dru. Bookmark the permalink.